Don’t believe us? Check out this funky infographic below released by Sony today, on the fifth anniversary of PS4. The image also shows some other interesting figures. This includes nearly 800 million software sales, the most popular games on PS4 and the most download games. Unsurprising Black Ops 3 is right up there. 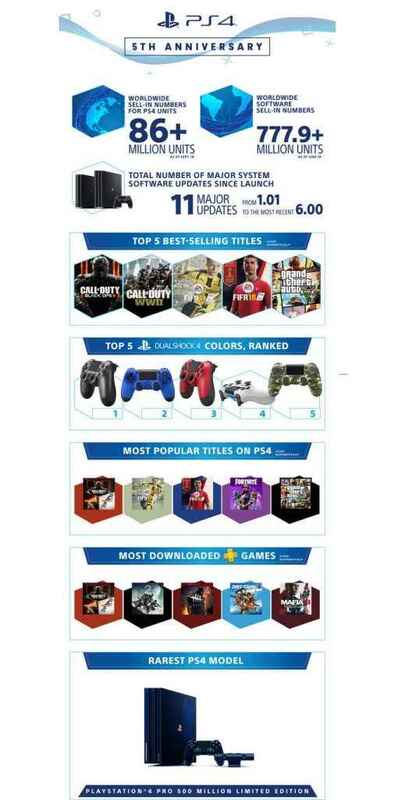 Destiny 2 is named as the second most downloaded game and despite all those different controller colors it’s still the jet black DualShock 4 that reigns! Spider-Man sales and God of War sales have certainly helped Sony reach this astronomical figure, confirming that PS4 has now outsold PS3. It will need to reach over 100 million though if it’s going to smash through those PSOne sales! 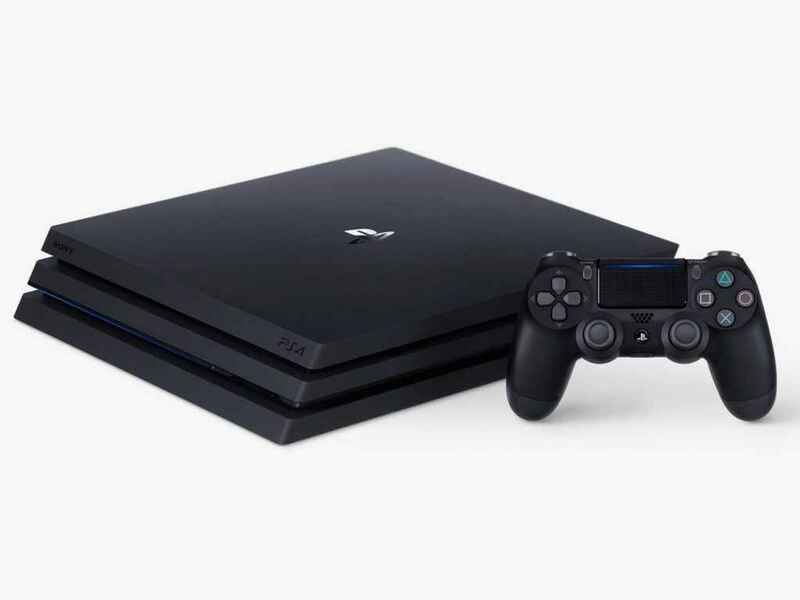 Sony has also laid down its forecasts for PS4 for the next fiscal year. It predicts that between the end of March and April 1, 2018, 16 million more units will be in households around the world. If you’re looking for more top games to play on PS4, you should check out some of our features. Here’s the best FPS games for PS4, and some of the best fighting games around! If you’re more of an indie fan, check out the best PS4 indie games guide!